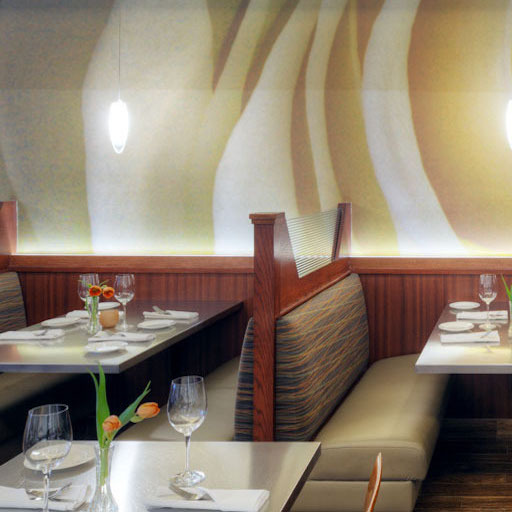 La Mezzaluna wished to update their restaurant to provide a brighter, more inviting ambiance for their guests. On-site construction was completed with an accelerated schedule of only ten days to minimize impact on business. 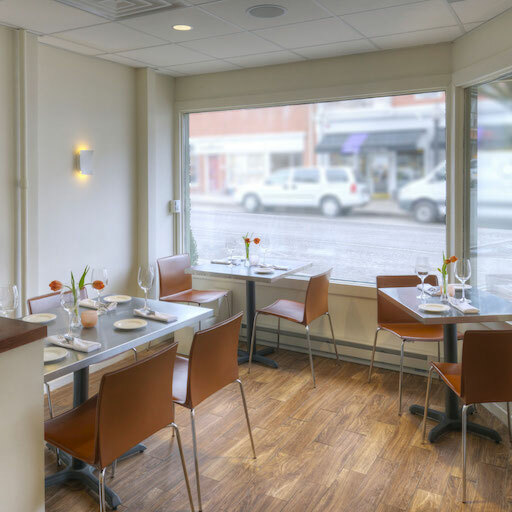 The reconfiguration of the front entry increased the restaurant’s street exposure as well as the amount of natural light in the main dining area. It also established a connection between the front and main dining areas. 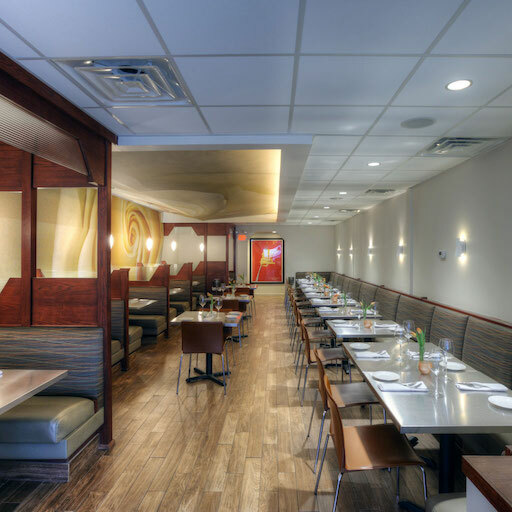 In addition to the opening the front portion of the restaurant by altering a partition, interior modifications also include modifying a ceiling by inserting an angular ceiling accent; adding new lighting, finishes, and chairs; and revamping the existing booths and banquettes. 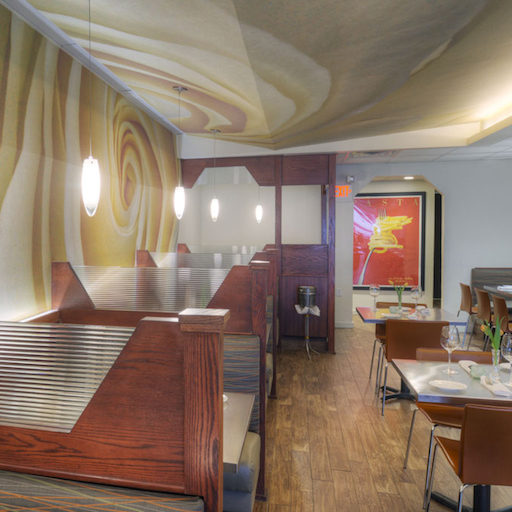 JZA+D added a single, larger-scale element that changed the entire tone of the restaurant, then focused on several smaller details that were easy to implement in order to augment the new design. 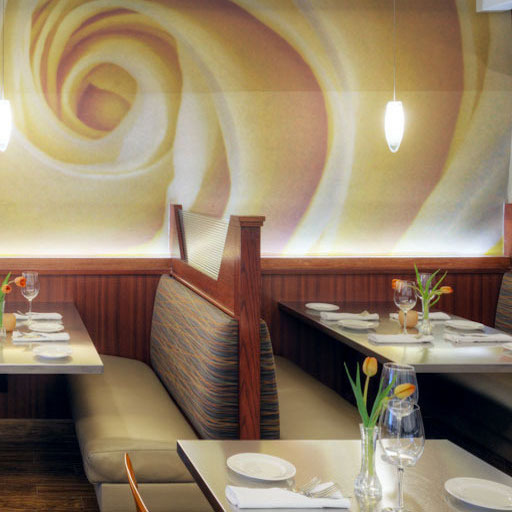 JZA+D collaborated with local artist Wendy Vroom to install a mural of a rose, which acts as the focal point of the space. The exterior of the restaurant will include alterations to the facade to create a more accessible entry and a more open store front.